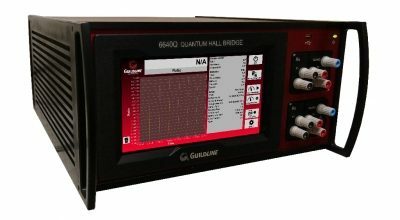 Guildline Instruments Limited 6520 Programmable Teraohmmeter is the latest innovation in Teraohmmeters. 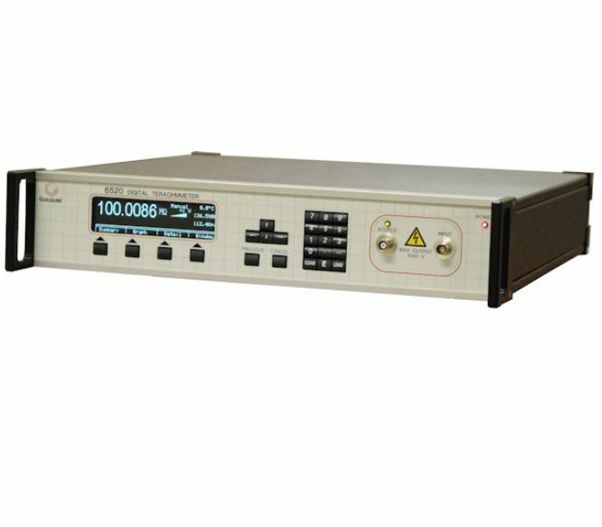 This ultra-high resistance Teraohmmeter incorporates the latest technology that allows Metrologists easy direct reading, high resistance measurement capabilities, while providing internal measurement techniques superior to that of most DCC bridges available today. 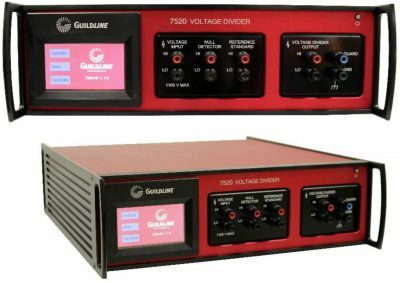 Guildline Instruments Limited 6520 Programmable Teraohmmeter is the latest innovation in Teraohmmeters. 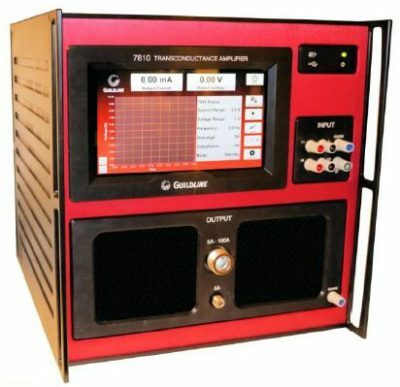 This ultra-high resistance Teraohmmeter incorporates the latest technology that allows Metrologist's easy direct reading, high resistance measurement capabilities, while providing internal measurement techniques superior to that of most DCC bridges available today. The 6520 allows users to make resistance measurements up to 10 P'. A new measurement and calibration software package TeraCalTM, is supplied with every system. Whether used in automated solutions or stand-along applications, the 6520 now provides a fully automated method for calibrating both high and ultra-high resistance values and allows for direct Surface and Volume measurements. The 6520's unique design greatly improves accuracy, stability, and functionality for making high resistance measurements. Convenient resistance and current ranges from 100 μ' to 10 P' ohms and 10 mA to 100 fA are provided. When used as a Transfer Standard, uncertainties better than ± 0.0025 % can be achieved.